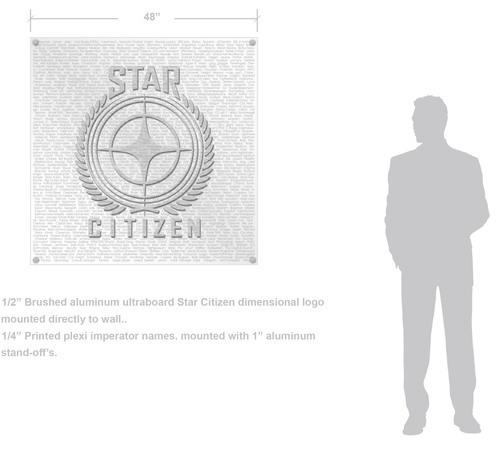 RPG TITLES » Star Citizen » Star Citizen: Updates: PAX East, Wall of Honor and More! Big things are happening at Cloud Imperium! The team is busy getting ready for the Dogfighting Module premiere at PAX East; there’s a lot to be done, we’re excited to show you what we’ve been working on! Meanwhile, the team at Turbulent has launched a new build of the Roberts Space Industries website, incorporating a number of bug fixes and adding some new features. Mark your calenders for the evening of April 10th! The Star Citizen team is headed to PAX East! Chris Roberts and dogfighting team will be headed to Boston this April to show off the Dogfighting Module to Citizens in a special event. The event will run from 8 to midnight, with subscribers and concierge getting in an hour early. The Star Citizen Dogfighting Module reveal event will be held at a venue outside the PAX East show so that Citizens who do not have PAX tickets can attend. The event takes place the day before the show, so Citizens will get the first chance to see. As with the Hangar launch at Gamescom, we have set up a venue that can hold roughly 1,500 people. The registration process will launch next week, and there will be no cost for Star Citizen backers to attend. Because of the limited number of tickets, only backers can attend; no plus ones. We’re also holding a special contest for the event! Three members each from the six most active Star Citizen Organizations (two in each category, large, medium and small) will be invited to have a special interview session with Chris Roberts during PAX! Keep in mind that organization activity will take into account a number of factors beyond number of members, so stay active on the forums and the chat! Winners will be selected on March 14th, to allow time for members to make travel plans. The immortal hobby of PC gaming continues to experience a renaissance of innovation, affordability, and accessibility. Free-to-play, an explosive indie scene, eSports, virtual reality, livestreaming, 4K displays, crowdfunding, Steam Early Access, and the growth of Linux position the PC as a truly vibrant platform. But how will technologies like gameplay streaming, SteamOS, the Oculus Rift, and others shapes PC gaming? More importantly, what new experiences will the PC games of the near future provide? PC Gamer asks our panel of innovators and PC gaming stakeholders to paint a clear picture of the next five years. Stick around to participate in the audience Q&A. Last week, we showed our plans for the first year subscriber Wall of Honor which will be displayed in Cloud Imperium’s Los Angeles office. Citizens who are eligible to be included on the wall can now select the name they would like printed on the display by going to My Account > Settings > Profile and filling out the “Wall of Honor” field with their choice. Names should be thirty alphanumeric characters or less, and they will be edited for profanity. Anyone who subscribed for one year of Imperator or Imperator Prime time during the first year of subscriptions is eligible for this perk. If you are part of that group and the Wall of Honor field is not appearing on your account, please contact CS immediately. Imperators have SEVEN DAYS to enter their preferred names; the list will go to the printers on Friday, March 7th. If you do not opt to select a name, your current Community Moniker will be used. It was a close race, but those wanting to wait to see the Consolidated Outland Mustang in the CryEngine edged out those who want to buy it now! 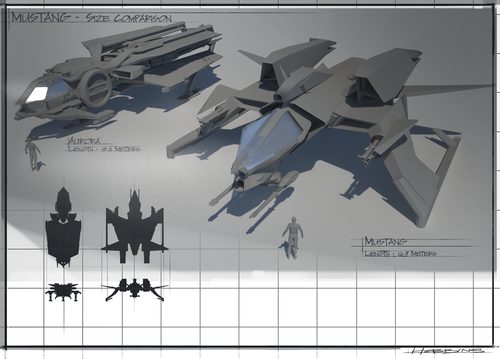 As a result, we will not be having a Mustang promo this week; but check back in the future when we will officially launch Star Citizen’s second starter ship! And stay tuned tomorrow, when we will reveal the initial specs for the Mustang and the AX Gunship project being built by the TNGS teams! Per your feedback, the Comm-Link commenting system has been totally revamped! As you can see below, it is now a threaded system separate from the RSI forums. As part of this launch, all archived comments from the original RSI website, previously unavailable, have been added back to the system. Want to find out what your fellow Citizen’s favorite ship is? Where they’re going to start the game? What they eat for lunch? Star Citizen backers may now create their own polls in the RSI forums! You can include a poll in your post by checking the “attach poll” option at the bottom of the submission field. Star Citizen: Chris Roberts on The PC Gaming Show! Tagged Backers, Bug Fixes, Calenders, Citizen, Citizen Organizations, Citizen Updates, Concierge, Dfm, East, First Chance, Gamescom, Greetings, Hangar, Hardware Manufacturer, Honor, Interview Session, Launch, More, New Features, Organization Activity, Pax, Space Industries, Travel Plans, Updates, Wall, Wall Of Honor, ‘Star.